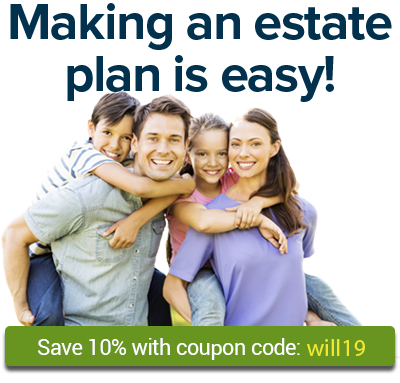 Create your New Jersey combined advance directive for health care (power of attorney and living will). Why do you need a living will and power of attorney for health care (called a proxy directive in New Jersey)? What are health care forms called in New Jersey? There are two basic kinds of health care documents that everyone should make. First, you'll need a document naming a trusted person to direct your health care if you are unable to do so yourself. This document is commonly called a power of attorney. In New Jersey, this form is called a proxy directive. Second, you can create a document setting out the types of medical treatment you would or would not like to receive in certain situations. This document is often known as a living will. New Jersey calls this form an instruction directive. If you wish to both name a representative and leave treatment instructions, you can do this in a form called a combined advance directive for health care. Who makes health care decisions for me in New Jersey? an operator, administrator or employee of a health care institution in which you are a patient or resident, unless the operator, administrator or employee is related to you by blood, marriage, domestic partnership or adoption, or, in the case of a physician, is not your attending physician. What else do I need to know about choosing a health care representative in New Jersey? When choosing your health care representative, the most crucial criteria are trustworthiness and dependability. You might also want to choose someone you think will be good at asserting your health care wishes if others argue against them -- that is, someone who is persistent or calm under pressure. While you need not name someone who lives in New Jersey, the person you name should at least be willing and able to travel to your bedside if necessary. Your health care representative will begin to make health care decisions for you when you lack the capacity to do so. For more information, see Nolo's article Living Wills and Powers of Attorney for Health Care: How They Work. Do I need a lawyer to make health care documents in New Jersey? You usually don't need a lawyer to prepare documents directing your health care. In fact, state governments have designed these forms for people to complete on their own by filling in the blanks. You can find the health care forms you need for New Jersey in Nolo's Quicken WillMaker Plus software. The software includes detailed instructions for completing your documents and meets all New Jersey legal requirements.